A genuine cowboy city, Cody is famous for its nightly rodeos and its proximity to the protected wilderness areas of the world's first national park, now designated as one of the country's World Heritage Sites. 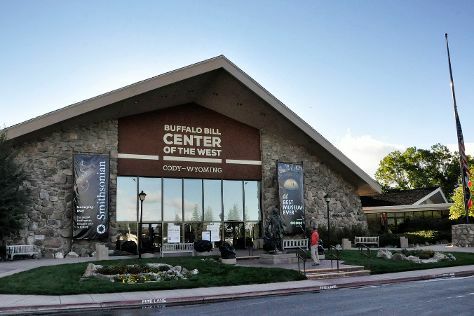 Founded by Old West showman "Buffalo Bill" Cody and known to many as the "Preferred Gateway to Yellowstone," Cody sits in the northwestern part of Wyoming in an area packed with dude ranches offering visitors an authentic "Wild West" experience. The area's scenic byways provide nature lovers with a chance to sightsee through a rugged landscape filled with native wildlife, while the town's walkable downtown features not only popular gunfight reenactments, but also several fine restaurants, art galleries, and shops. Cody is in Wyoming (WY). With the Inspirock international travel planner, Cody and other destinations across the globe can be made central to your personalized travel plans.